The Internet offers unparalleled window shopping, with the easy ability to endlessly browse nearly any type of product without leaving home. But when it comes to buying clothes, you may be wary of clicking "Buy" without being able to physically try on your purchase. 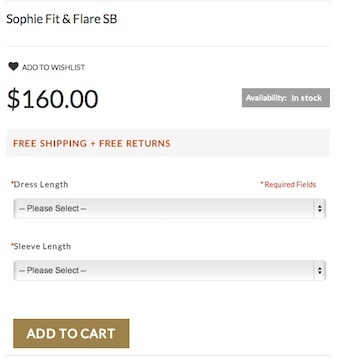 While there are online services allow you to customize the look of an item before you buy, only a few offer made-to-measure clothing for women, including Charles TyrWhitt, Tailor Store, Make Your Own Jeans and now Numari, a custom dress site. Numari's catalog features classic cuts that keep things simple, allowing you to dress your look up or down for any occasion — and keep these wardrobe staples in your closet without risk of their going out of style. The key to a perfect fit is getting good measurements. Before buying a garment from Numari, you create a measurement profile of 15 measurements you take yourself with a tape measure. (No tape measure? No problem — Numari will send you one for free.) You can watch a video showing you how to take each measurement to ensure your numbers are accurate, although you might still want to enlist an extra pair of hands to get some of them just right. 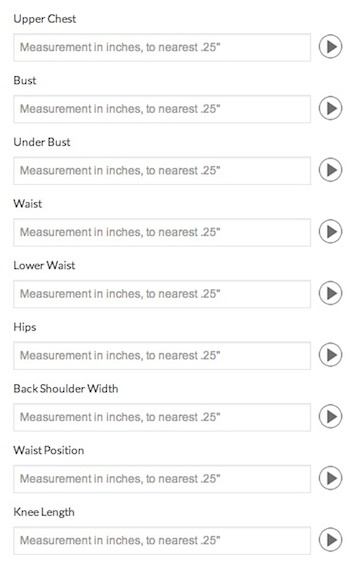 Numari uses your measurements to tailor your order for a perfect fit, even if standard sizes aren't usually a good fit for you. Now it's time to pick your dress. Numari currently offers 23 designs to choose from, all with options to customize the dress length and sleeve length so the finished product turns out just the way you want it. If you're not sure which styles work best for you, arrange a personal online consultation with Numari's stylists. They can help you take measurements, pick the right dress for your body type or even accessorize after your purchase has arrived. Although designs vary by neckline, color and fabric (some designs are identical save for color), it would be nice to be able to customize them on a dress-by-dress basis. However, the simple looks Numari provides work well as timeless wardrobe staples — and if that's what you're looking for, we don't think you'll find much to complain about. But if you're looking for fashion that's particularly trendy or edgy, while Numari's designs can be accessorized to suit your taste, these probably won't be what you want. The company offers free FedEx shipping on all orders, though if you're ordering at the last minute, be aware that it takes them three weeks to custom-make your dress. Adding to both value and your peace of mind, Numari will pay for up to $30 of alterations, remake it or refund your money if your dress doesn't fit, so you can buy with confidence that you'll get the perfect fit. But the biggest value proposition is the dresses themselves. Dress prices range from $165 to $285, taking them out of the budget category. But we still see a lot of value in Numari's line. Because their shapes, styles and colors are classic, they're not going to go out of style from this season to next. All of the pieces in Numari's line aim to be your little black dress: fashion-flexible garments that you'll keep in your closet through spring cleanings because they have a great fit and are so easy to accessorize for work, play or a night out. And if you look at it that way, the price isn't so steep. AbbeyPost is another newly launched site that’s focused on providing well made wardrobe essentials for plus size and other hard-to-fit women (disclaimer: I’m the CEO). AbbeyPost’s prices are more affordable, ranging from $95-$185, and the measurement process is simpler as well. Just give us your height, bust, waist and hip. We do the rest. Free shipping, and your custom Made to Measure dress arrives in less than 2 weeks. We also have a very simple return/alteration policy, including a charitable donation aspect for those times when we need to remake the item. We’d love to have you check us out and give us your feedback on how we’re doing! Thank you for this article, Elizabeth! I loved how you summarized it as fashion-flexible garments, akin to the perfect little black dress.